Home / EU Referendum / featured / Freddie Saunders / Opinion / Politics / Direct Democracy has spoken - accept it! Direct Democracy has spoken - accept it! 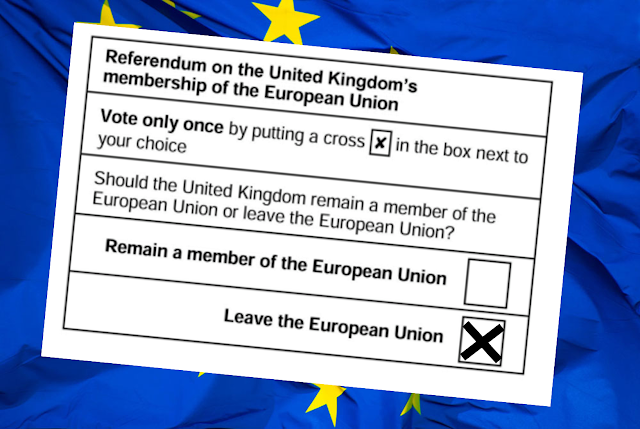 On Thursday June the 23rd, and on the morning of Friday once counting had finalised, it was clear that the British people had decided, that the United Kingdom were to leave the European Union. The final direct democratic result stated that 52% of the United Kingdom wanted to leave the European Union, with the obvious 48% wishing to remain. The United Kingdom will be the first nation to eventually activate the Article 50 under the Lisbon Treaty, which will begin the two year exit transition process from the European Union. Now, I campaigned hard for a Vote Leave and a #Brexit, I am not ashamed to shout that from the rooftops. I am a Tory, I am a Conservative and a current student at one of the best Universities in the United Kingdom, essentially the complete opposite a psephologist would say for someone backing #Brexit. In short I voted out for the democratic and sovereignty argument, a similar reason you will find in the 25% of 18–24 year olds who voted leave also. However, it is no longer time to debate the advantages and disadvantages of the EU, we must move forward with the decision of the British people. But I am simply enraged by the reaction from people in the United Kingdom and in the world. You have celebrities, politicians, and others who have simply no idea about the United Kingdom, its core foundations, its history, and its principles. It seemed as people were waking up this morning, people were just screaming “We are doomed!”, “What has everyone done! ?”, “How dare people ruin my future! ?”, “You bunch of racists!”, “You xenophobes” to name a tamed few. I understand that emotions and feelings are running high, the United Kingdom has just made one of the most monumental decisions in her history. However, the responses by people who do not agree with the Vote in some respects is wrong and disgusting. For the Remainers to come out of the woodwork, who were quiet, who did not campaign, have no idea about the EU, are misinformed, not done their research and shout “You racist!”, “You uneducated prat!” and many other distasteful and simply anti-democratic insults is utterly wrong! The most amusing part of the insults are, you can tell who has only thrown their hat in the EU debate ring after the result, when the only “argument” they have is you “racist/xenophobe”. The reason being because if they had any idea about the full palette of arguments in this topic such as the economy or sovereignty, which is backed up by the fact that YouGov pointed out the two main issues for Vote Leave was the economic and sovereignty argument, they might actually realise they are being extremely ignorant and actually, anti-democratic in what they are doing, in terms of smearing because someone has a certain opinion and have aired their voice in a certain way. Great Britain is facing an interesting period, one which in the short term is going to be turbulent economically, politically and socially. There are wounds which need to be healed, and a process of acceptance in the nation which needs to take place, in order for us to move forward. For the rest of 2016 and 2017, we are going to see a new Conservative leader become apparent, possibly a new Labour leader if Jeremy Corbyn’s vote of no confidence goes through on Tuesday, another general election in my opinion, and after the French and German elections, the activation of Article 50 in the Lisbon Treaty. I urge everyone to remember what democracy is about, and to stop being so insulting, and accept the result! Everyone has the right to voice their opinion, and conduct their vote the way they want to, for someone to be smeared for that is disgusting, and must stop immediately!